You don’t necessarily think about energy efficiency and protecting the environment while taking a bite of your bread roll at breakfast time. But baked goods, or rather the baking process itself shouldn’t be underestimated – only a third of the heat generated by conventional ovens is used for baking. The remainder just heats the bakery. This is something researchers at FAU hope to change. They have developed and tested a prototype oven with a significantly more efficient combustion principle. 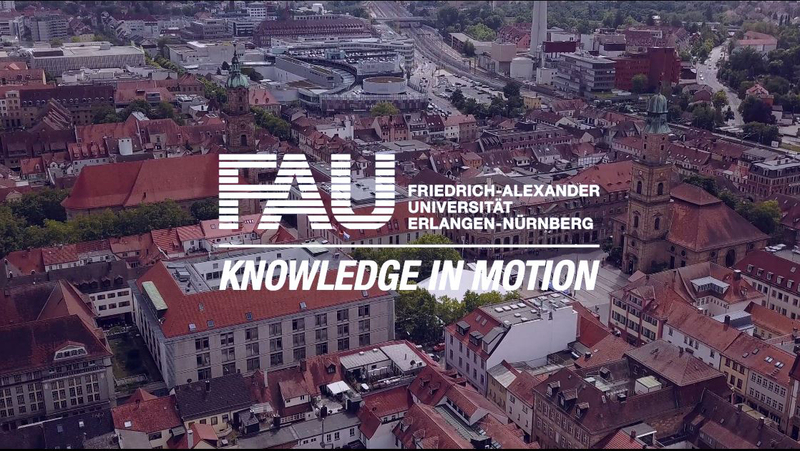 The new oven, which was developed by Vojislav Jovičić, head of the research unit for Combustion Engineering at the Chair of Fluid Mechanics at FAU, in conjunction with FAU researchers and the Technische Universität München (TUM), not only saves energy. It cuts the baking time by 20 percent, reduces costs and has lower CO, CO2 and nitrogen oxide emissions. This new technology means bakeries could not only help to protect the environment, but also save a great deal of money – up to 12,000 euros in fact, depending on their size. The costs for the additional energy currently used in Germany amount to 66 million euros. What’s special about the project is that the researchers transferred technology from a completely different sector of industry for the new oven. The combustion principle developed at the Chair of Fluid Mechanics at FAU uses volumetric ceramic burners (VCB) or porous burners, which are already widely used in other sectors such as the paper, aluminium and glass industry. Combustion in volumetric ceramic burners takes place inside the cavities of a porous inert material without an open flame. Compared with conventional types of burners, this concept is easy to control, has a compact design, homogeneous temperature distribution and lower emissions. The combustion process within porous ceramic remains stable, regardless of the quality of the fuel. The increased heat radiation from the hot porous layer of ceramic means the heat is transferred more effectively and more quickly to the objects to be heated. Researchers have now adapted and used the combustion concept for the food manufacturing industry for the first time. During their research, they refitted a commercial electric deck oven and installed twelve volumetric ceramic burners in the ceiling of the oven. The baking chamber is separated from the burners using quartz glass plates. On one hand, the quartz glass plates prevent flue gases from entering the baking chamber, and on the other, they enable heat to be transferred directly and very efficiently by means of the particularly effective near infrared thermal radiation. The researchers previously used virtual engineering and numerical simulations to find out which arrangement of burners had the best effect on the temperature distribution and heat transfer. An electric oven that had not been modified provided reference data. To test and compare the baking performance of the new oven, the researchers needed a reference object that is easy to make, where all analysis parameters can be considered and that is also cheap. The solution came in the form of a loaf of bread. They used an 800 gram loaf of wheat bread to analyse volume, colour, texture, pores, crumb and crust. In terms of quality, both loaves performed equally well. The pores were of a similar size and the crust had a similar colour. Both types of ovens thus distribute heat evenly. This was also shown in the thermographic investigation where the scientists used a thermal imaging camera to monitor the oven system and the bread. Again, both systems produced similar results. There are 11,500 artisan bakeries in Germany that employ over 270,000 people, and 200 larger manufacturing companies. Any new technology must therefore also be suitable for smaller and medium-sized bakeries. ‘This oven cuts costs and saves time. This new technology could safeguard the survival of medium-sized bakeries as it can also be used in smaller ovens’, explains Jovičić.